The 12 people killed in the Paris terrorist attack, including journalists, police and political cartoonists, are being mourned across Canada and the globe. Prime Minister Stephen Harper has spoken out in the wake of the attack, as have city mayors, provincial premiers and community leaders from coast to coast. Leaders in Canada’s Muslim community were also speaking out against the attack in France, and voicing concern that their peaceful religion could be hurt by to the barbaric action of extremists. The Muslim Canadian Congress condemned the incident as a “barbaric Islamist attack” against freedom of expression. And the National Council of Canadian Muslims (NCCM) said justice must be served immediately. “We are absolutely shocked and horrified by what happened. It is an absolute tragedy and it is a crime,” NCCM human rights co-ordinator Amira Elghawaby told Yahoo Canada News. The Canadian Press reports that the masked gunmen stormed the Paris office of Charlie Hebdo, a weekly satirical newspaper, shouting “Allahu akbar,” and killed 12 people including two police officers and four of the country’s most noted political cartoonists. 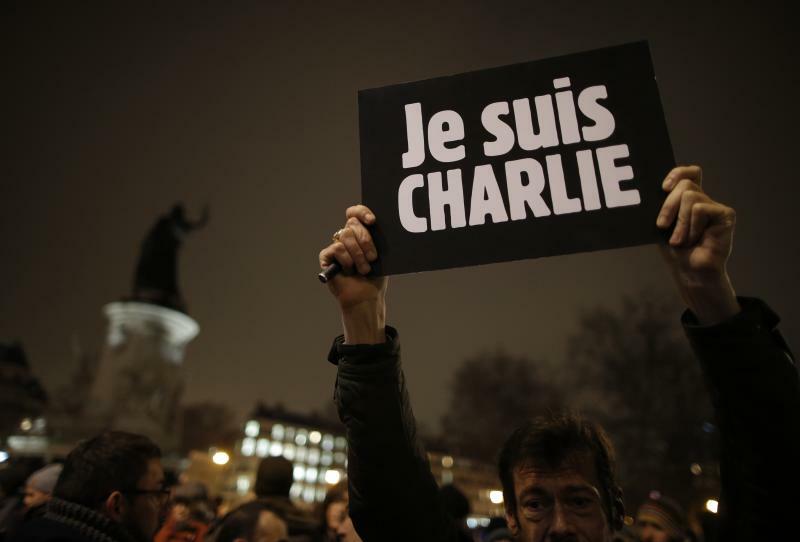 The attacks reportedly followed the publication of cartoons critical of Muslim extremism and the ISIS terrorist group. It was the deadliest terrorist attack on France in more than two decades. And the response was sadly predictable: The country’s Muslim community was thrown under the spotlight, forced to defend themselves and their religion in the face of a desperate public searching for answers. "I’m horrified by the barbaric attacks in France. Our thoughts and prayers are with the victims and their families," Harper said shortly after the attack. It is something Canada’s Muslim community is familiar with. They faced a similar fallout from attacks in Ottawa and Quebec late last year. Following the Ottawa attack, which left one soldier dead and forced Parliament Hill into a tense lockdown, there was an increase in reports of harassment of Muslim Canadians. The National Council of Canadian Muslims said they received an increased number of complaints from community members. “Any time these sorts of incidents happen and the perpetrators are somehow linked to Islam, certainly Muslims feel extremely concerned that this may be seen as reflecting upon themselves,” Elghawaby said on Wednesday. “We hope that Canadians and others around the world understand that these sorts of acts that unfortunately continue to take place are being perpetrated by a small minority of people who are completely deluded about what Islam stands for. It isn’t the first time Canada’s Muslim community has faced tension following a threat or attack. Since 9/11, every incident involving an extremist prompts a fresh round of concern. In November, an Angus Reid poll found the country was pretty evenly split on whether the Muslim community was a positive force in the battle against radicalization. However, 73 per cent felt that Muslim community leaders should be doing more to speak out against homegrown terrorism. Community leaders, however, have taken such steps. The National Council of Canadian Muslims was involved in the release of a handbook about how to address and root terrorism out of the country. The handbook had been supported by the RCMP, but they pulled their support shortly before its release. The about-face took some momentum out of the initiative, but organizers said the project was a success. She added that reports and complaints of harassment tend to increase after extremist incidents. But so do instances of support and respect. She pointed to a viral video of a “social experiment” shot and posted online following the Ottawa attack, in which Ontario bus passengers defended a Muslim stranger from persecution. Earlier this week, there was significant backlash against anti-Muslim protests in Germany, in which tens of thousands of people protested attempts to spread hateful messages in the country. “There are extremists on all sides that are trying to divide communities and societies around the world. People who know better … understand that we are all in this together. We all want the same things. We want safety, security and peace – the freedoms that we enjoy,” Elghawaby said.